The outbreak of polio in the country recently had prompted health authorities in many of the provinces to be pro-active and conduct awareness on the spread of the virus and how to prevent it. 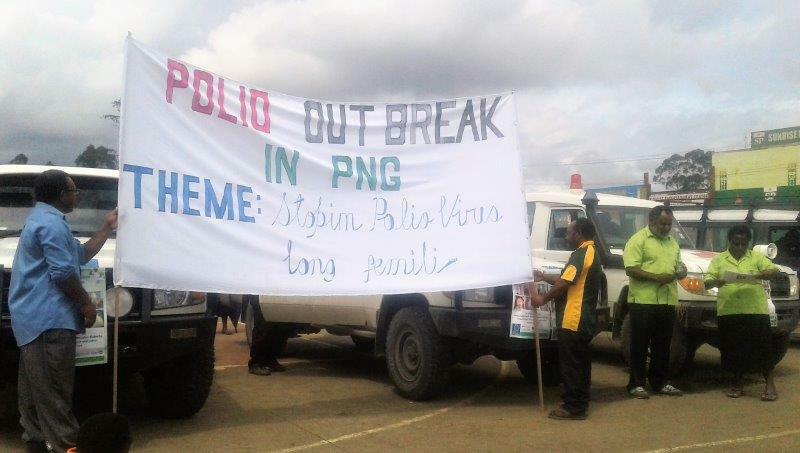 Following the discovery of the virus in Morobe Province in late June, health authorities in provinces have carried out various awareness programs to educate their people on what they needed to do to avoid catching the virus. 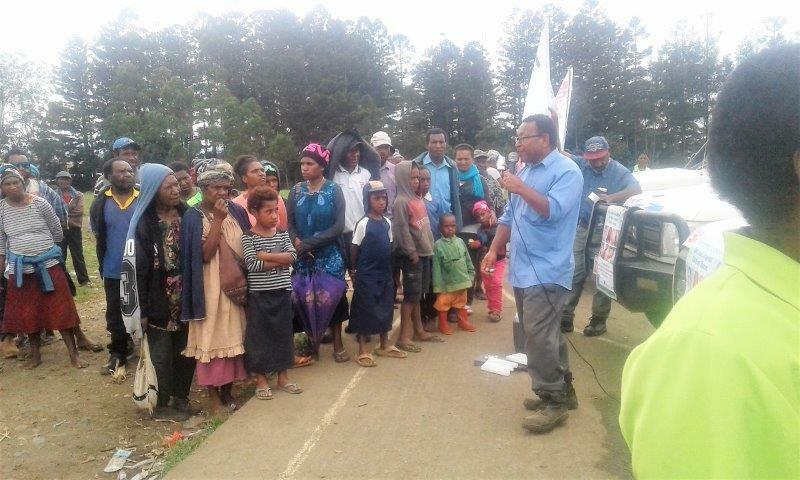 In the Western Highlands Province, staff of the Provincial Health Authority printed and distributed posters on how the virus spreads and also conducted awareness at public places along the road from Kagamuga Airport to Mt Hagen as well as in the city. A radio toksave or service message was also broadcast on the local radio station over a couple of days as well as an SMS blast through Digicel, advising subscribers in Western Highlands Province to call a toll free hotline to get more information on the virus. The toll free number was set up by Digicel free of charge as a community service to its customers to help them receive professional advice and assistance from health professionals on the spread and prevention of the polio virus. This was done at the request of the WHPHA, and the management is very thankful to Digicel for assisting in this area. .
As well as the service message, health promotion staff went live on the local radio station and advised parents in particular to take every precaution when preparing food to ensure it was prepared in a hygienic manner and to also take their children to the nearest health facility to be vaccinated against polio. Preparations and actual awareness programs on the virus were carried out during the week commencing 2nd July and the SMS blasts went out on Monday, 9th July for a few days, resulting in the influx of telephone calls from people wanting to know more about the virus and how they could avoid catching it. The hotline received more than 600 calls in just a few days with over 400 of these answered and the message was widely spread throughout the province. Whilst response at the Western Highlands Provincial level was strong, communication with the National Department of Health has been difficult in relation to clarification of high risk areas in a timely fashion and access to vaccines. For the first time since the outbreak was announced, WHPHA received polio vaccines on Thursday, 19th July 2018. These are now being provided to the community. Ensure good handwashing after using the toilet. Ensure all utensils are thoroughly cleaned before being used to prepare food. Ensure all drinking water is clean and safe before using. Avoid contaminating creeks and rivers. Keep your environment clean and healthy at all times. Ensure your children’s immunisations are up to date – check these regularly and ensure those under 5 years are taken to the nearest health facilities for vaccination. Health Promotion Officer, Elizabeth Pundu addresses the public in Hagen City. A banner on polio with the theme, “Stop the polio virus in the family” written in tok pisin is being displayed during an awareness gathering. Cold Chain Officer, Joe Kumi addresses the crowd at another gathering.